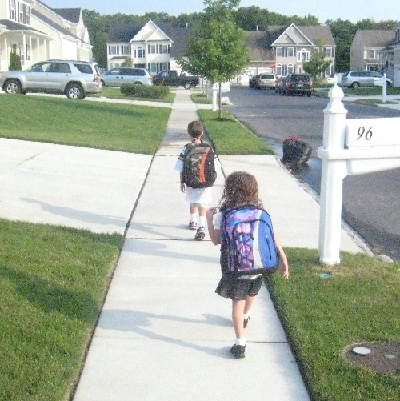 So, there they go – off to the bus stop. Not looking back, Jay slightly in front of Jackie – each step symbolic of their inevitable independence from Mom and Dad. If this photo was in black and white, neatly framed, and that mailbox and bag of garbage were photo-shopped out – people would buy copies of this picture at the mall. — I remember the day it was taken, the first day of the 07-08 school year. They were confident, excited, and this was one of 30 pictures I took that day for Mom. I know it’s not going to last forever, but I have this picture, and I will remember. You are currently browsing the That other blog blog archives for September, 2007.